Our dashboard will list your business on over 150 digital listings that are popular and familiar with google search results. A business changes, on average, 67 times per year. Each time you change a phone number, address, photo, or even a staff member, you would need to update that information across all of your existing platforms. 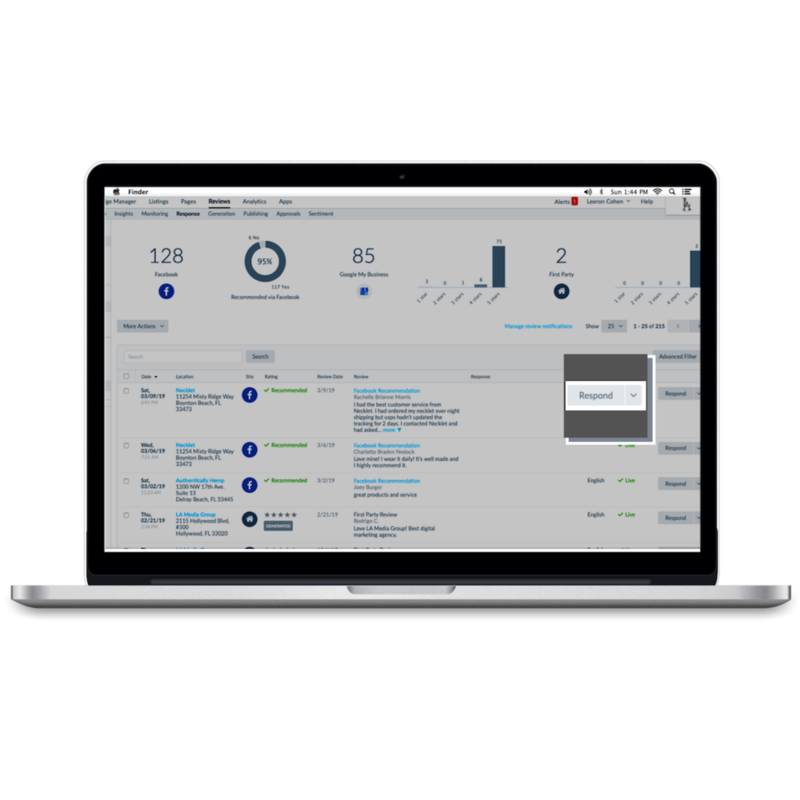 Our dashboard allows you to input that information once and will push it to all of those listings in one shot, at an instance, and every time you update it through the dashboard. 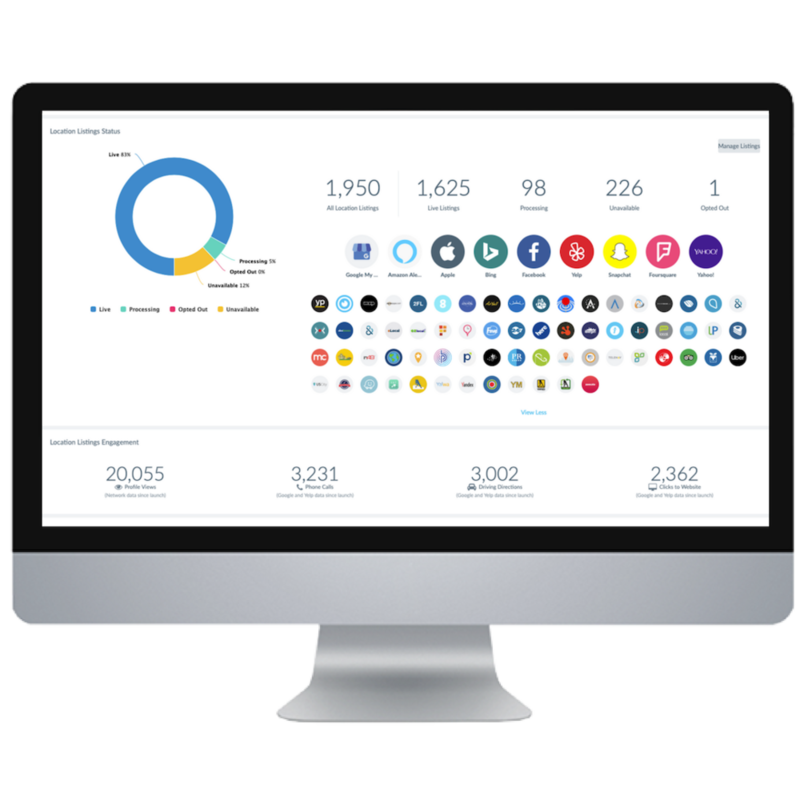 Our dashboard allows you to see ALL of your reviews, from every platform, in one location. Thats right! 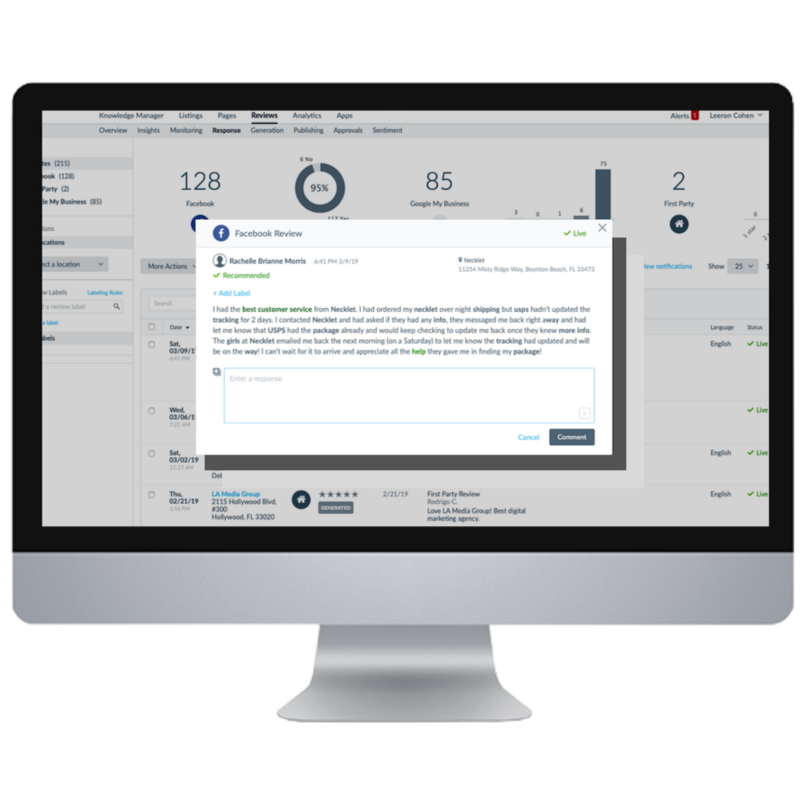 You can generate, receive, and respond to all of your reviews immediately right from our dashboard. 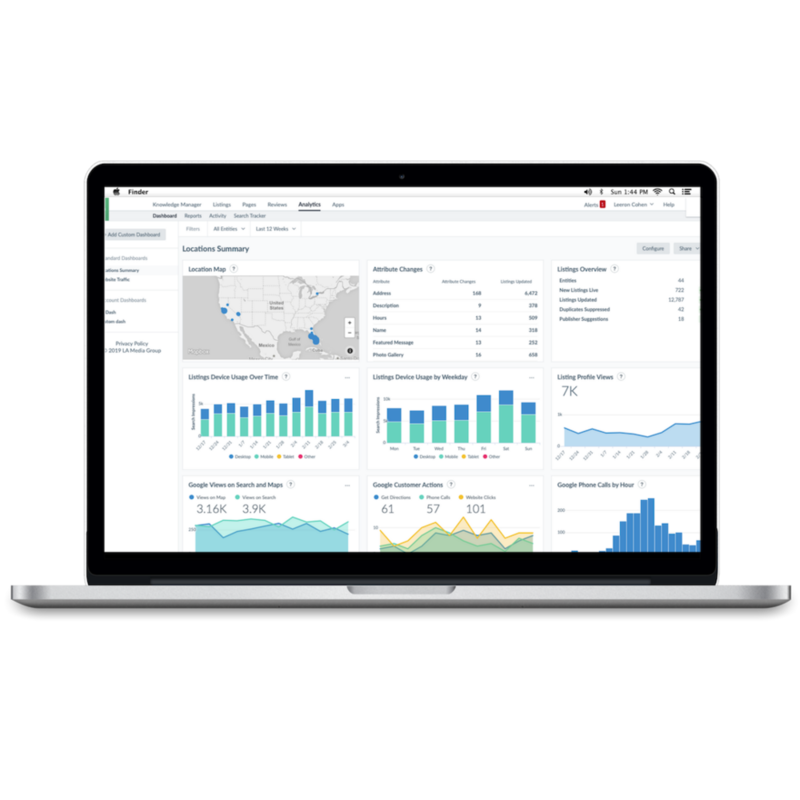 With the analytics tab on the dashboard you are able to see all relevant information pertaining to your business at a glance. This includes social media analytics, web analytics, review generation information, and so much more!